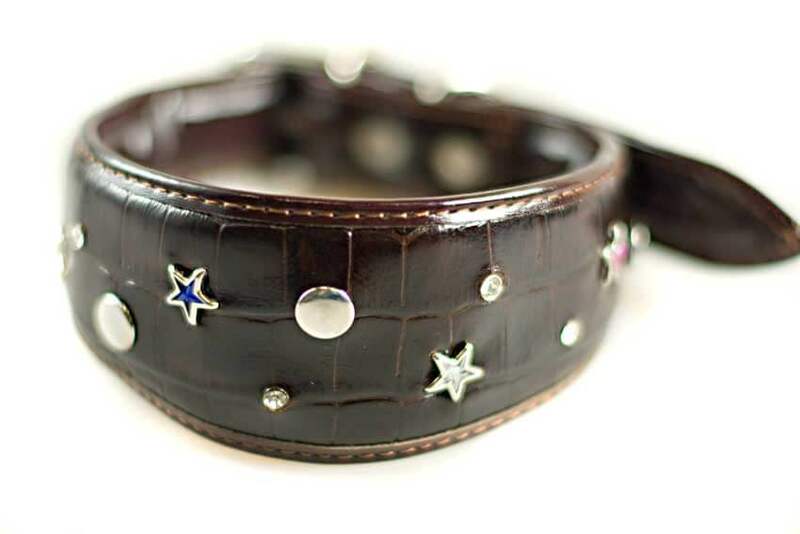 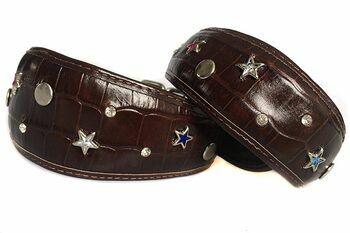 Luxurious leather collar for all glamorous hounds this brown leather collar is decorated with a sparkling mix of coloured stars and crystals. 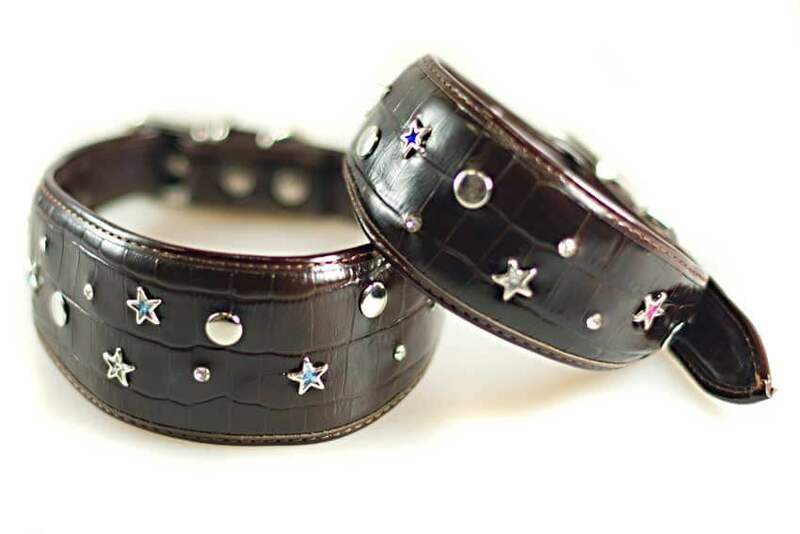 An eye catching Dog Moda's own unique design this hound collar will be noticed and admired by many. As you would expect from all Dog Moda collars this hound collar is fully padded and lined with soft brown leather and is very comfortable to wear. 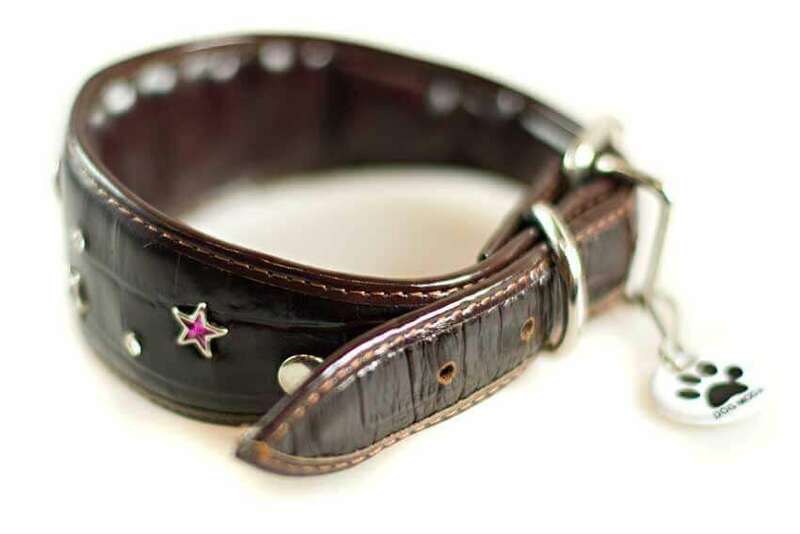 These are limited edition collars and we will not be repeating this model again.